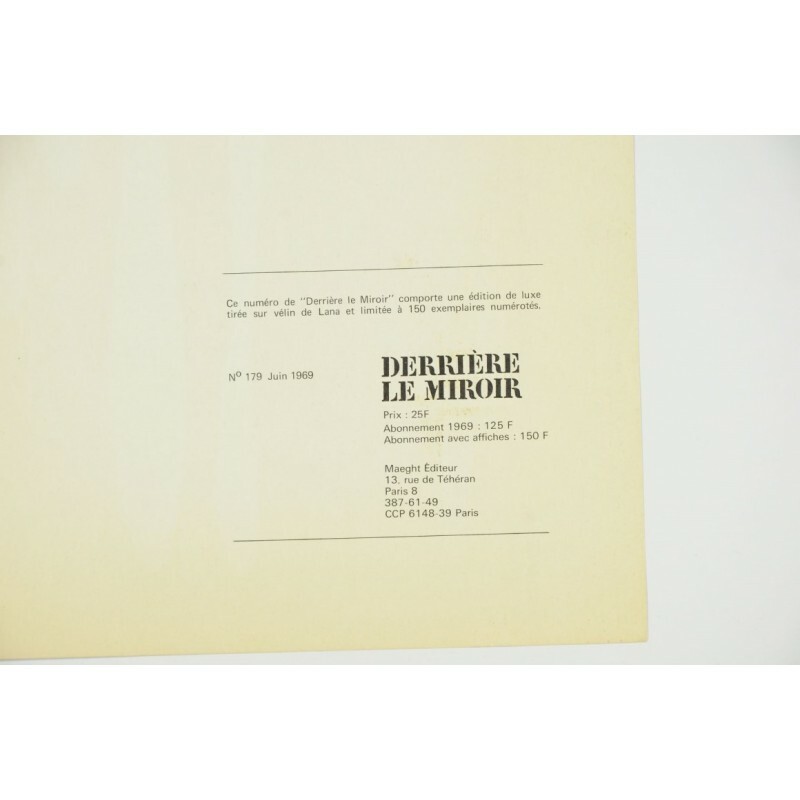 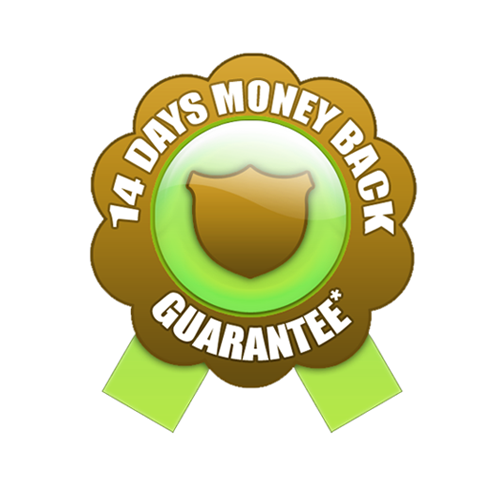 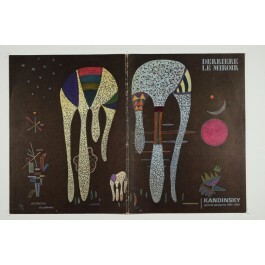 This sale is for the complete publication of "Derriere la Miroir" (DLM) no. 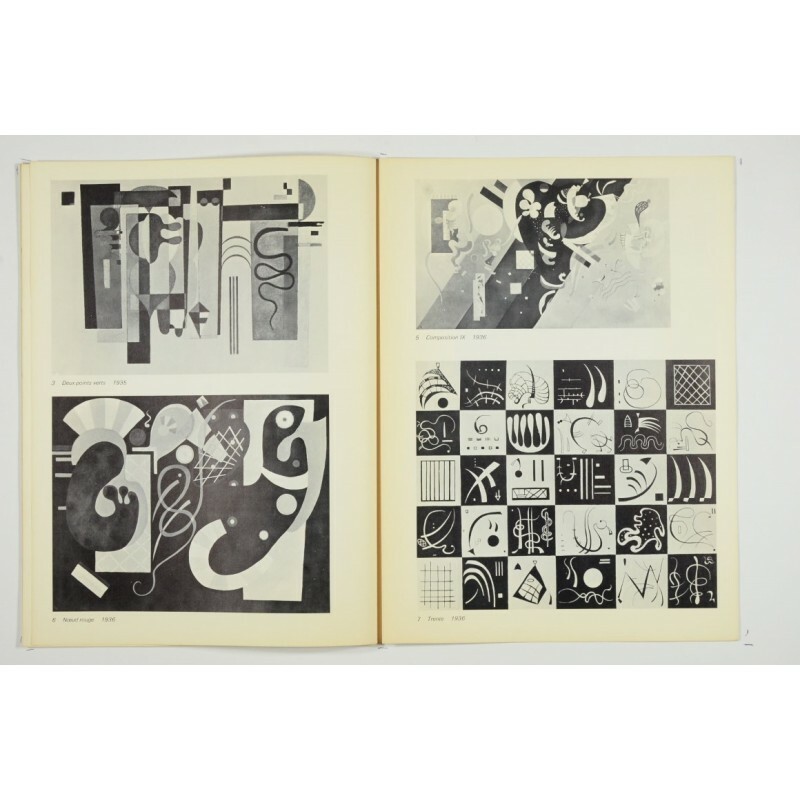 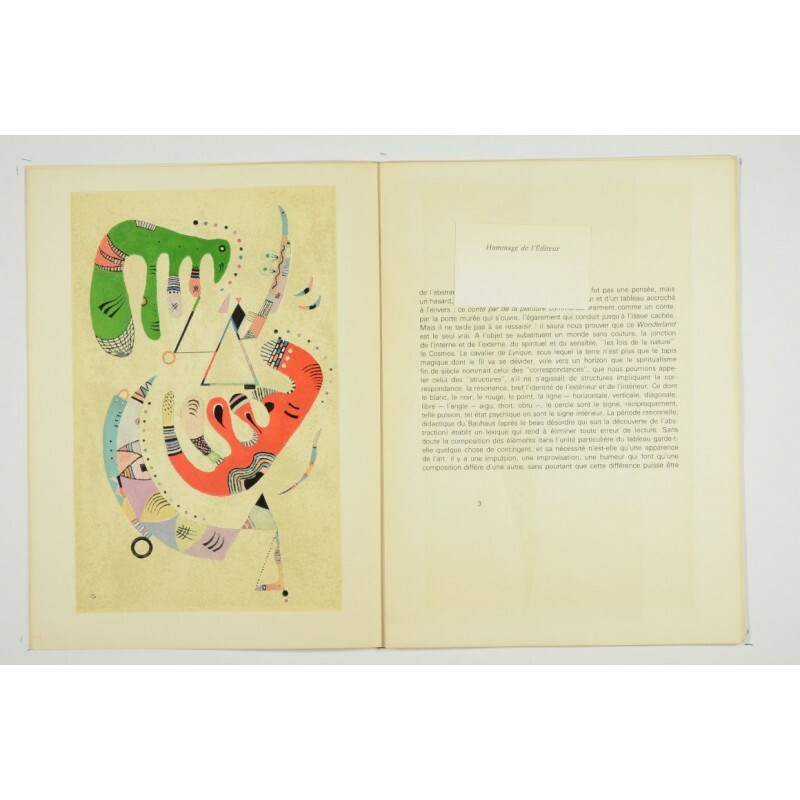 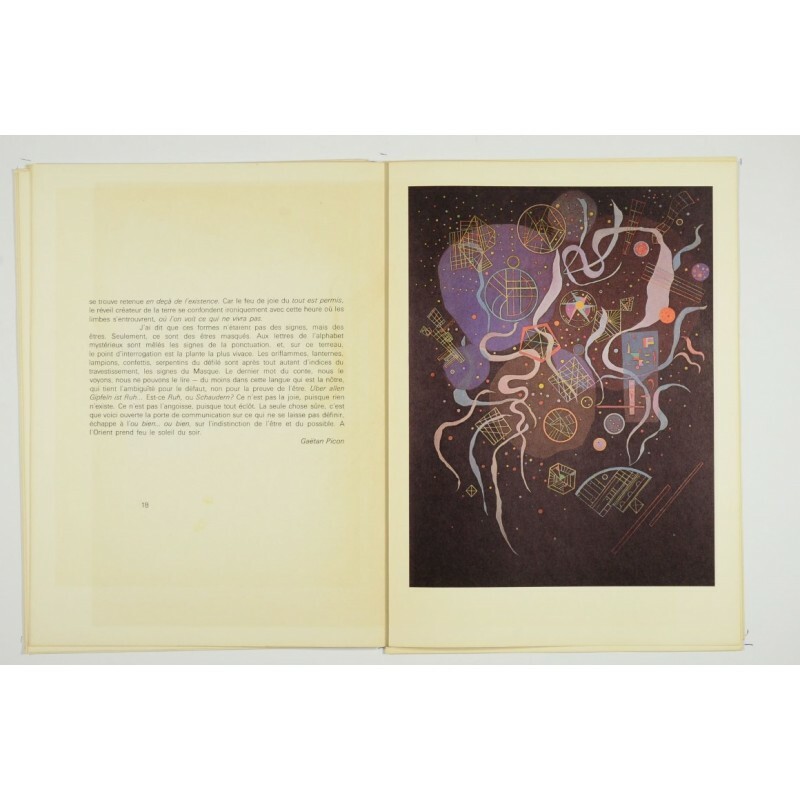 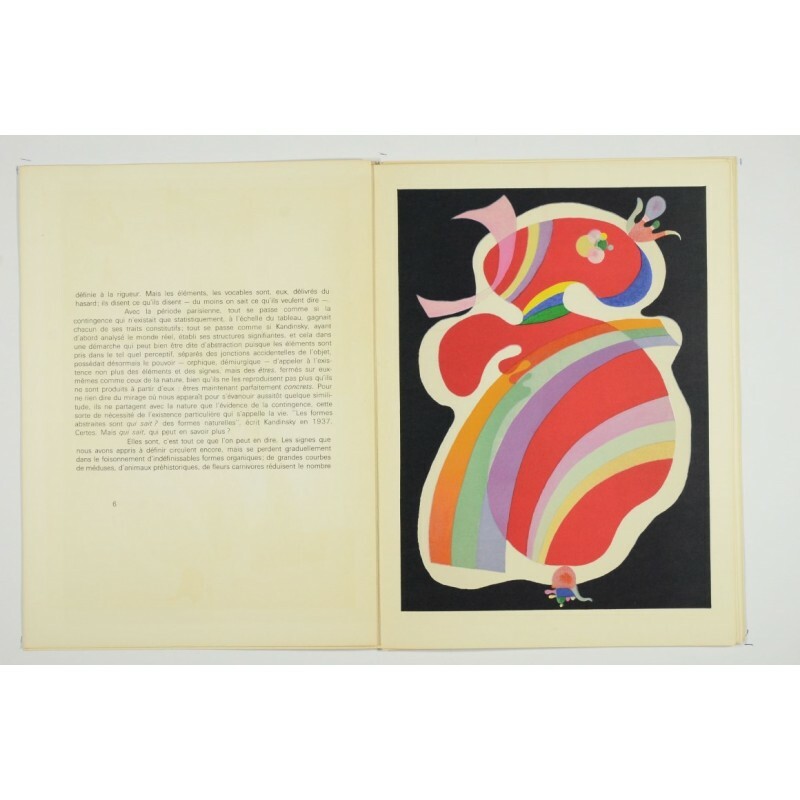 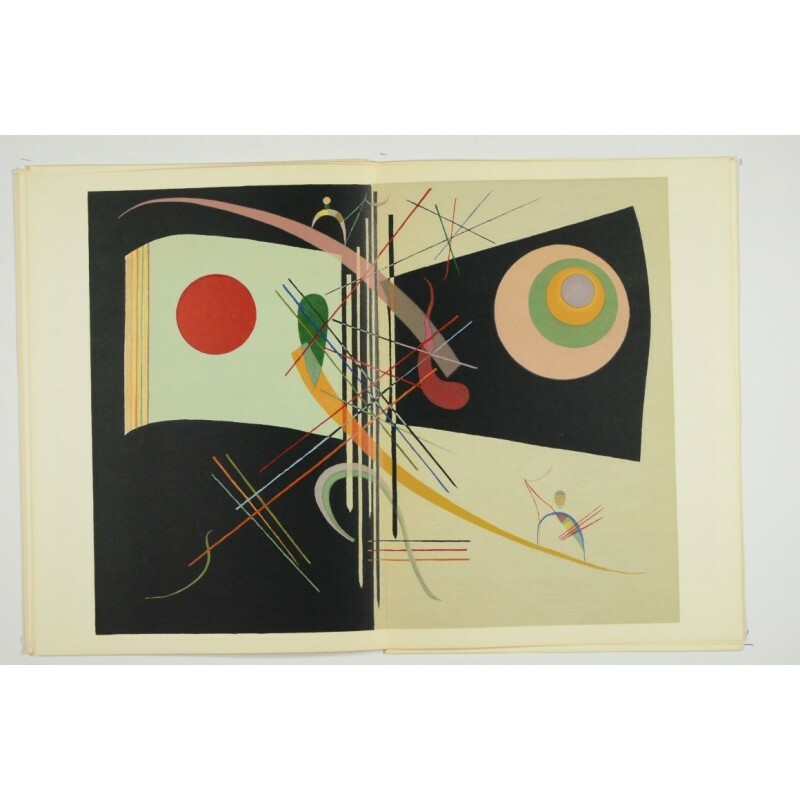 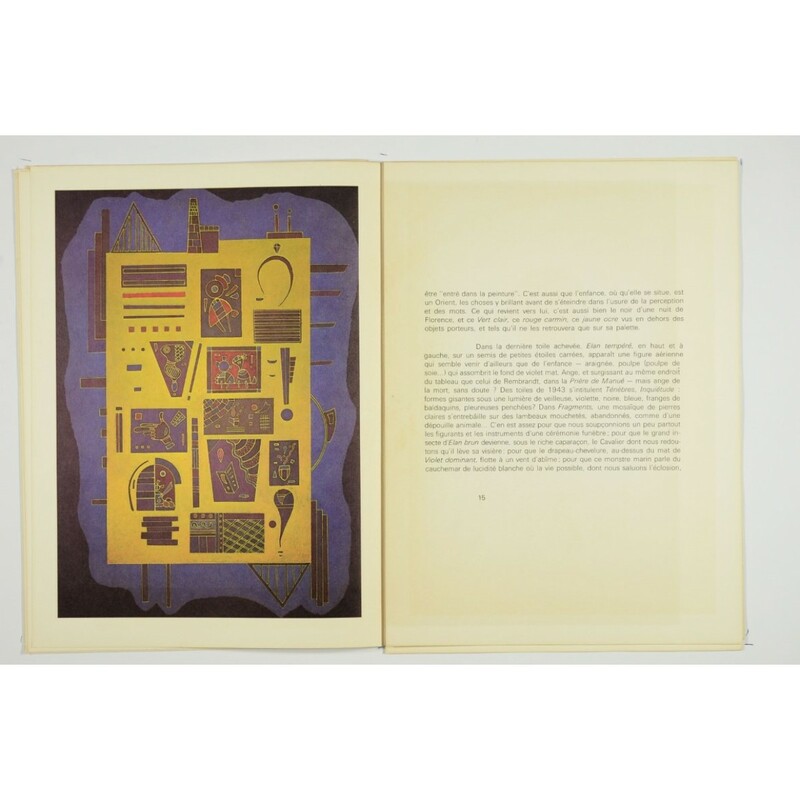 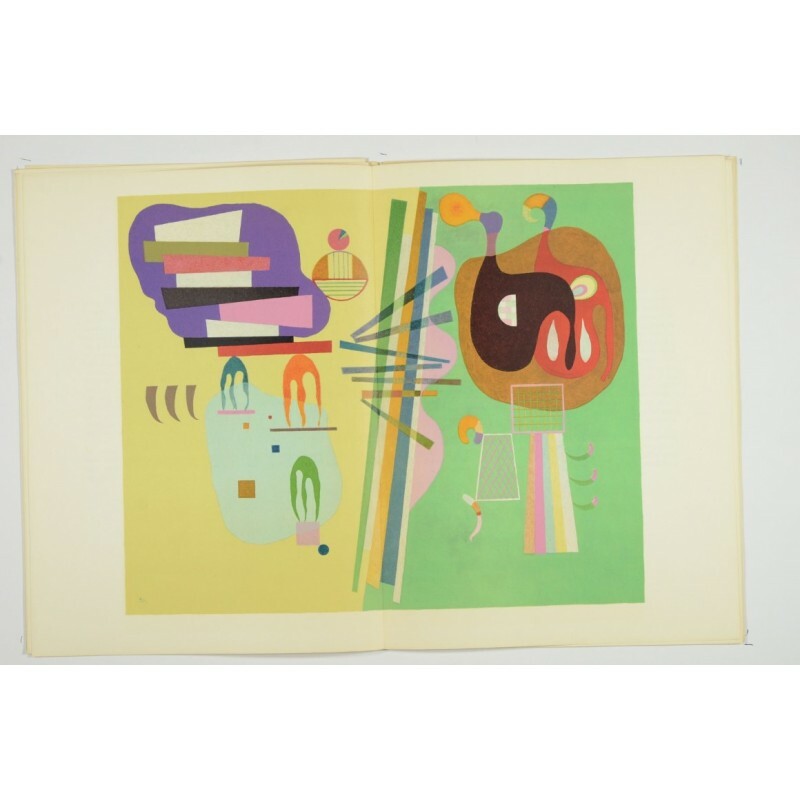 179 (1969) including 5 Original Lithographs by Wassily Kandinsky (2 double page), 3 reproductions in color, and 16 reproductions in black - all from the Période Parisienne 1934-1944. 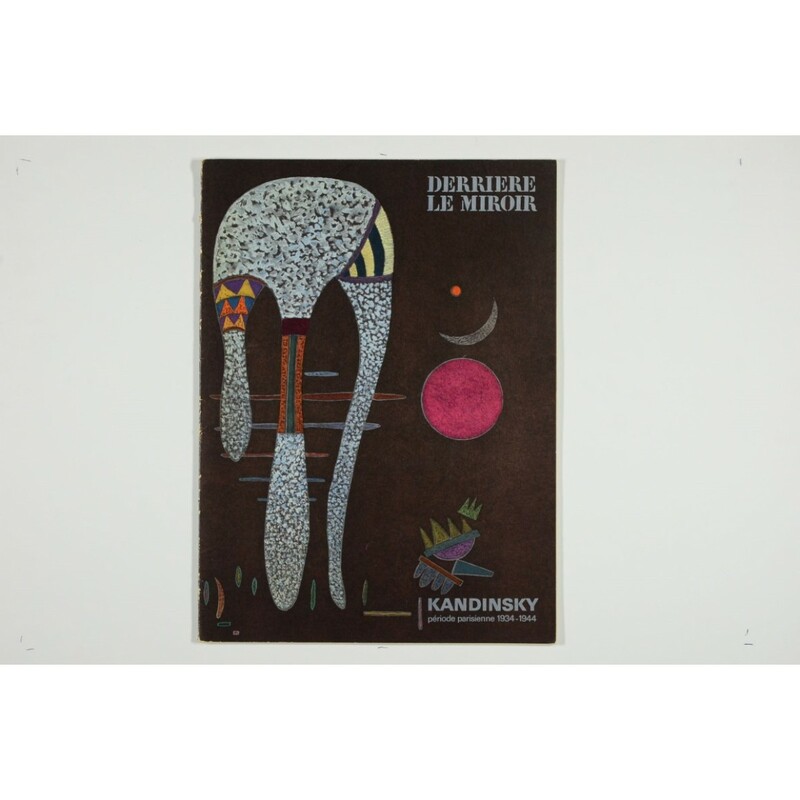 Derrière le Miroir’s 36 years of publication saw the many of the 20th century’s greatest artists submit their works to the magazine. 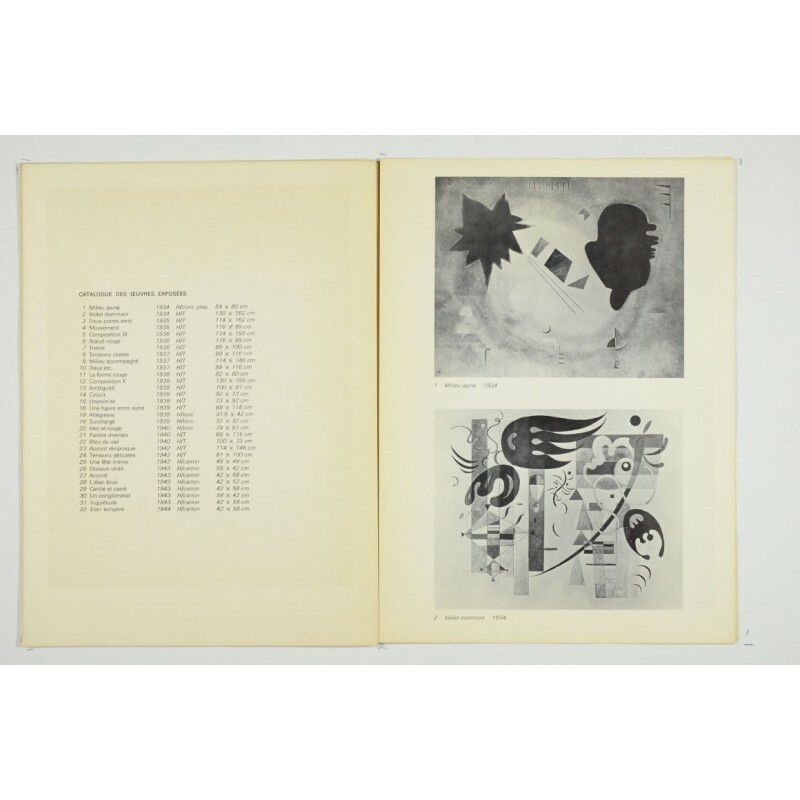 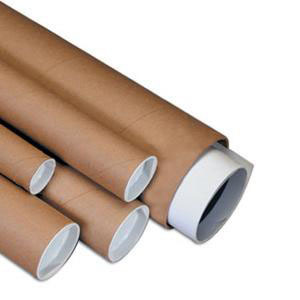 Each issue of the magazine featured one artist’s original lithograph along with multiple reproductions. 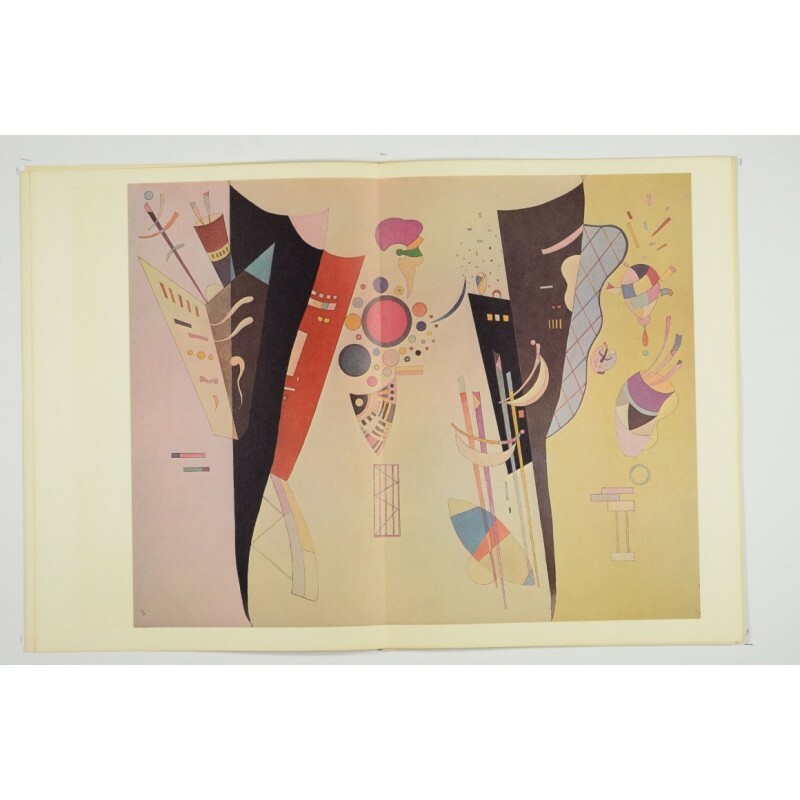 Their works were set alongside the poetry of France’s great writers of the same period. Artists featured include Braque, Calder, Chagall, Chillida, Giacometti, Léger, Matisse, Miro and Tapies. 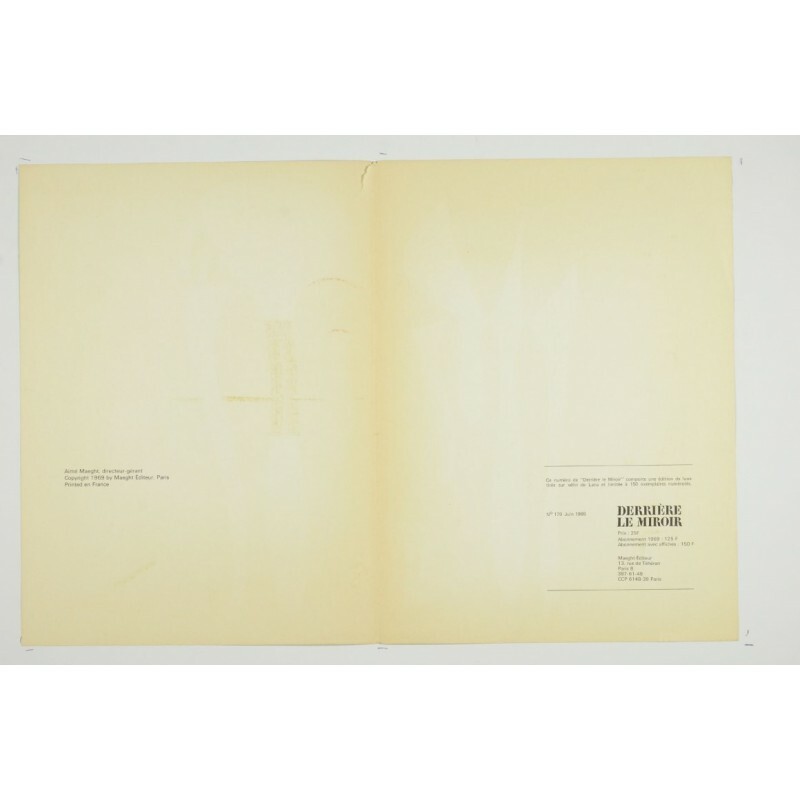 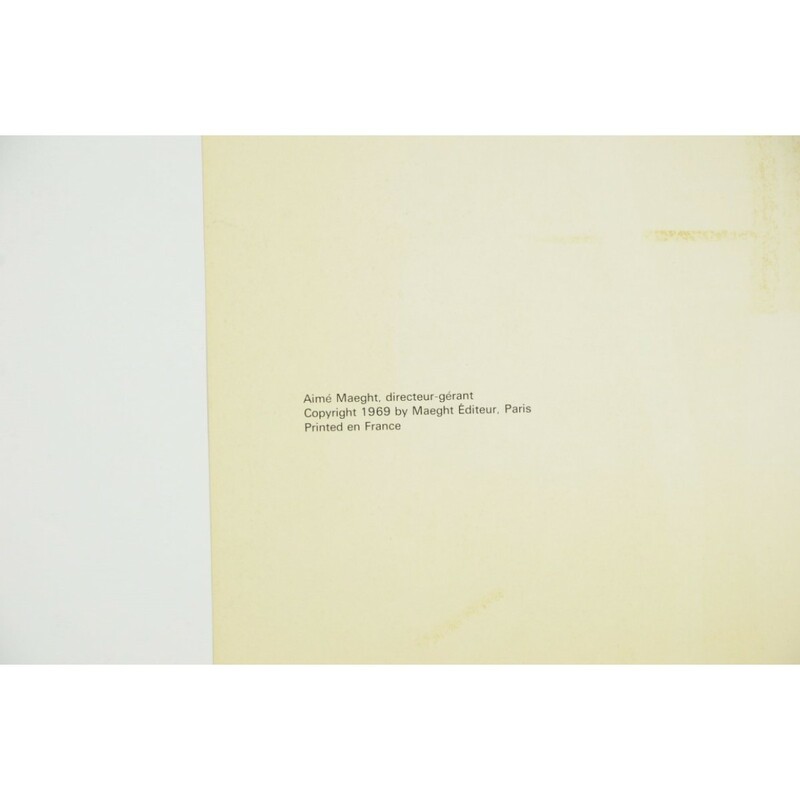 That their works were juxtaposed to the writings of such great thinkers as Aragon, Beckett, Char, Eluard, Prévert, Queneau, Reverdy and Sartre, ensured that the magazine would find itself a special place in the annals of art publications as the cross-roads of art both visual and verbal.